I enjoyed using this Halloween inspired embossing folder that I’ve had in my stash for some time! To emphasize the details, I applied black ink over each circle with a sponge dauber. I stamped and colored the cat and bat, then added them to the black “frame” I’d created using leftovers from cutting the Beaded Circle Frames die-cuts for another project. I added the sentiment and tied the card up in a ribbon to finish it off. Thanks for stopping by. Look, Mom! Raccoons for your birthday! I must say before I go into any explanation of this card–this card required me to think much too hard! There was a front and back to the raccoons and window, things needed to line up, etc. The design on the card front fits The Paper Players Sketch Challenge #296. The overall card is 4-3/4″ square. I colored the raccoons with Copic markers and cut them out. I die cut the windows, added the raccoons and layered the patterned paper and cardstock so that everything lined up and then stamped the sentiments. I made this card for my mom’s 86th birthday. She has a raccoon (sometimes more) who comes visit her sometimes, so when I saw this stamp, I knew I needed to use it for her birthday card! Happy Birthday, Mom! Thanks for stopping by. Welcome to another challenge for the Operation Write Home Virtual Cardmaking Party! I am very pleased and honored to have been selected to participate this weekend. There are a lot of fun challenges to motivate us all to create cards for our Heros to send home. For my challenge, I’m asking you to make a love-themed card featuring a furry creature. There are so many cute animal stamps–many are in my stash! So I thought it would be fun to devote a challenge to using some of these critters! Feel up to the challenge? Please use the InLinkz Linkup below to add your critter love card. For every card linked up for this furry creature challenge between now and the end of next weekend, I will donate $1.00 (per person) to Operation Write Home. So if there are 50 folks who post, that means I’ll donate $50 to OWH. You have until midnight Pacific Time on July 13th to add your cards. I received 33 entries in my challenge as of midnight Sunday, July 13th. That means that I will donate $33.00 to Operation Write Home when I send my next group of cards in during the next couple of weeks! What is even better, is that my friends Barb and Cora Jean have said they will match this donation so that makes $99.00 altogether (actually, I’ll make it $34 so it adds up to an even $100.00)! I’m very proud of this contribution to OWH. Thanks to all of you who created cards and linked them up for the VCMP so that we could make this happen. My first card is based on OWH Sketch #191. 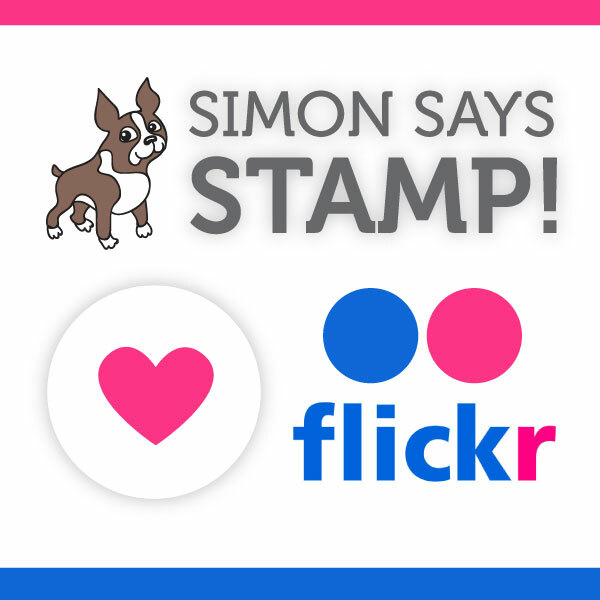 It featured the cutest cat stamp ever, in my opinion! 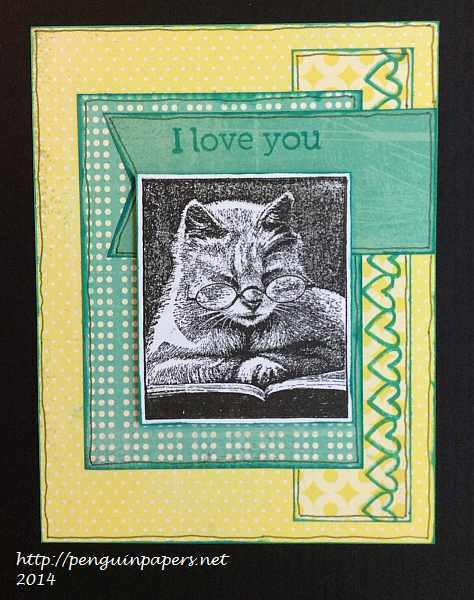 I stamped the accents and inked the edges with aquamarine chalk ink to tie the various elements together. Finally, I drew an outline around each element with a fine tipped dark green pen. Between the inking and the outline, it has a very informal look. 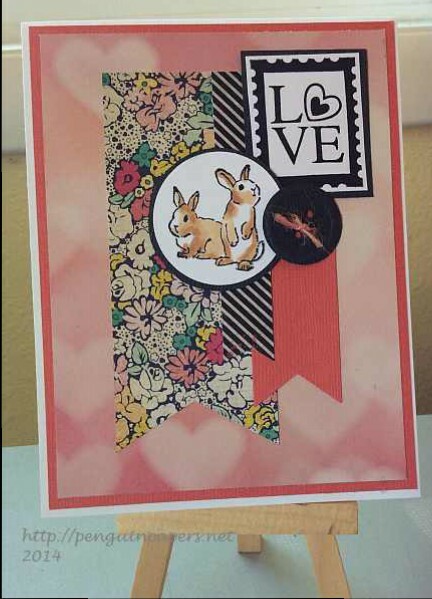 This is a simple card that featured two stamped images. Between the two cards I’ve posted today, I’ve used cards from five different companies! It is fun to mix them up! I colored these cute little bunnies with Copic markers and made banners from some pretty patterned papers. The paper button is nice a flat so it won’t be too thick for mailing, which is important for OWH cards. I made this design up as I went, so I don’t think it matches up to a specific sketch (at least not on purpose). Thanks for joining in the party and stopping by today. Please link your card using the InLinkz Link-up below. I’d love to see lots of cards so I can make a big donation when I send my next batch of cards in! Please leave a comment if you feel so disposed. If you’d like to return to the OWH VCMP Master List, please click the OWH graphic at the top of this post.